Rotten smells, bad advice, and comical creatures: what could be better? Spend a day in a dubious outer space “medical” practice in “A Day in the Office of Doctor Bugspit.” Dr. Bugspit’s oddball patients, staff, and cases offer the perfect prescription for curing boredom. 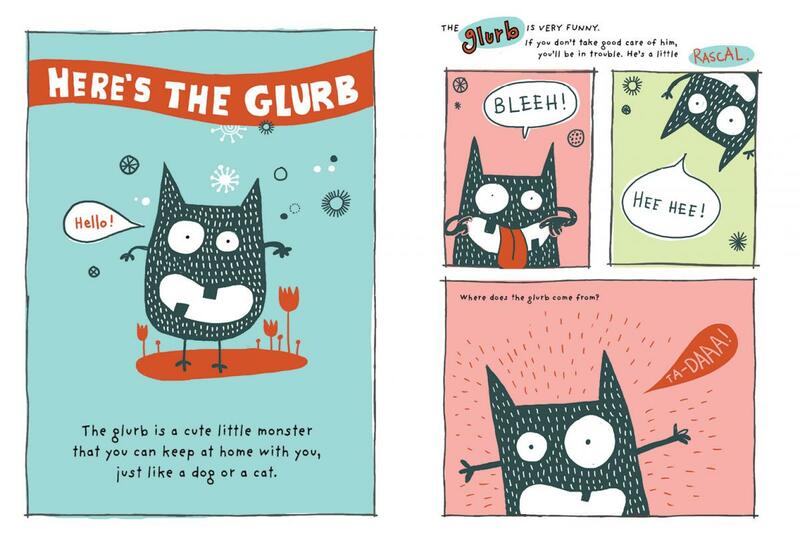 In “Adopt a Glurb,” readers will find tips, information, and zany advice on raising a glurb, a funny little monster who yells really loud, eats ten times his body weight daily, and loves unrolling toilet paper. Elise Gravel is both a graphic designer and accomplished illustrator. She has written and illustrated several books for children in both French and English, including the Blue Apple titles Blast Off with Doodle Tom and Let’s Draw and Doodle Together. 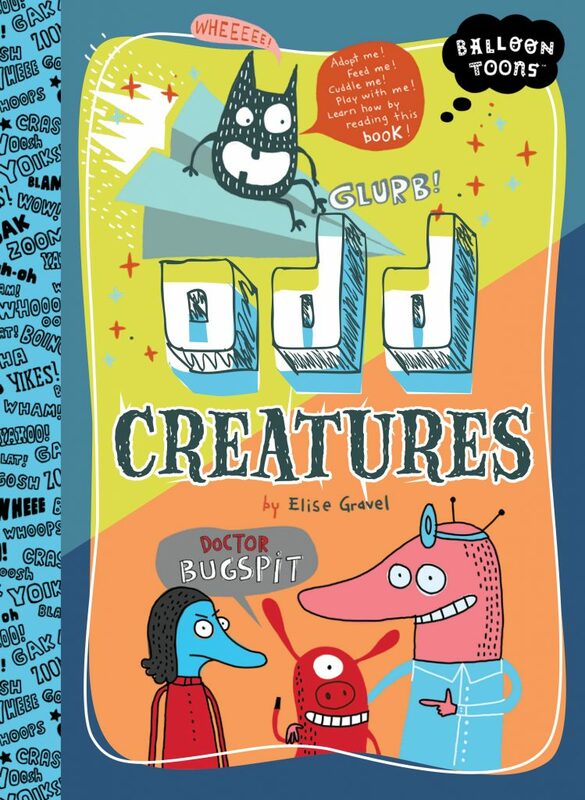 Her latest book is a graphic novel, Jessie Elliot Is a Big Chicken. Elise lives with her family in Montreal, Canada.